These last two weeks I’ve been “Amtracking” up and down the East Coast: From New York to Cambridge, MA two weeks ago and last week to Harrisburg, PA and then back from Philadelphia to speak to patients and nurses. This work I do has to my surprise led to seeing a lot of the country. Not having ridden Amtrack for probably a decade it was a delightful surprise – almost stepping back into a more genteel era. The seats are wide, comfy and provide plenty of leg room, unlike those I’ve grown used to now in airplanes’ economy class. 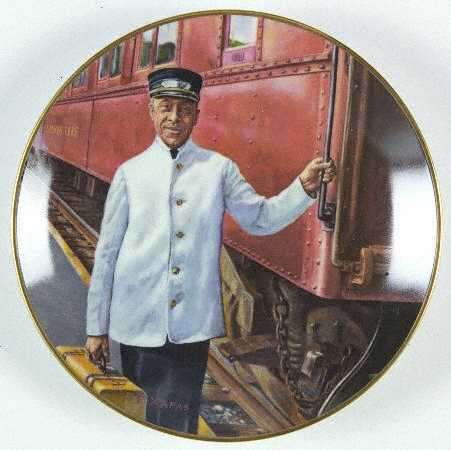 The conductors are pleasant, “Hello, how are you doing today?” While stepping aboard on one leg of my journey, the high steps made it difficult to lift my wheeling case. Not a problem, the conductor had it in tow before I even thought how was I going to manage it. Amtrack also has a “Quiet Zone.” A car where no cell phone use or loud conversation is allowed. What a delight. Between the gentle rolling of the train and the silence I fell off to sleep for an hour. Moreover, two restrooms in every car, never a line! I am forever changed. Next time I go somewhere Amtrack goes and the trip is not more than a few hours I will opt for the age-old comfort and civility of train-ing over plane-ing. Moreover, it allows you to bypass going through airport security where a hand search reveals syringes and begs questions, an insulin pen raises a red flag and one is supposed to (I rarely do) extricate one’s self from seat, climb over two fellow passengers and scuttle off to the restroom to take a shot. I was train-ing to speak to two groups of patients and nurses amid the rolling hills of rural Pennsylvania. My train stop was Harrisburg, where I was picked up by Betsy Wargo, a dedicated diabetes educator who serves the nearby area through Wellspan, and had invited me to be the key speaker for their annual diabetes health fair. The fair was held at Gettysburg Hospital in historic Gettysburg, home of one of the major battles of the Civil War and Abraham Lincoln’s famous address. At the hospital I had the pleasure of addressing about 70 patients as an author and fellow patient. I shared my personal story of getting diabetes at 18 and what it’s been like to live with, dispelled many of the diabetes myths that confuse most people and explained the power of tapping into our positive emotions to better manage diabetes. These of course are the topics of my two books. Focusing on what we want (happy, healthy life) rather than what we don’t want (complications) and putting more energy into our positive emotions, for instance appreciating what we have, forgiving ourselves when we muck up, patting ourselves on the back for all we do and taking pride in our efforts – helps us do better. Oprah often says, “When you know better, you do better.” What’s also true is, “When you feel better, you do better.” Afterward Betsy and I toasted the successful evening over a drink at the famed bar inside the hotel and talked passionately about how to help patients improve their self management. The next day I was picked up and driven to Springfield, a town just outside of Philadelphia, where I presented my Taking Control program to another 70 patients. I followed an endocrinologist in the line-up and when I finished my talk numerous people told me how much they got out of what I said. It doesn’t hurt to have a powerful story to share or to follow a doctor who has just pummeled your audience with target numbers, facts and figures. Then it was back on the train home to the Big Apple where I, for one, was riding on a high. As we approach Thanksgiving, more and more for me it is not an annual event. Throughout the year I give thanks for how fortunate I am to be doing this work and how grateful I am for all who make it possible.